This was a post about a whole bunch of home repair and maintenance going on around here this week. After writing the whole entire post I just didn't feel it, so I deleted it. So, instead, we have a new pair of Mama Made Cargo Shorts. Please trust me when I say this is more fun than faucets, washing machines, printers, and refrigerators. 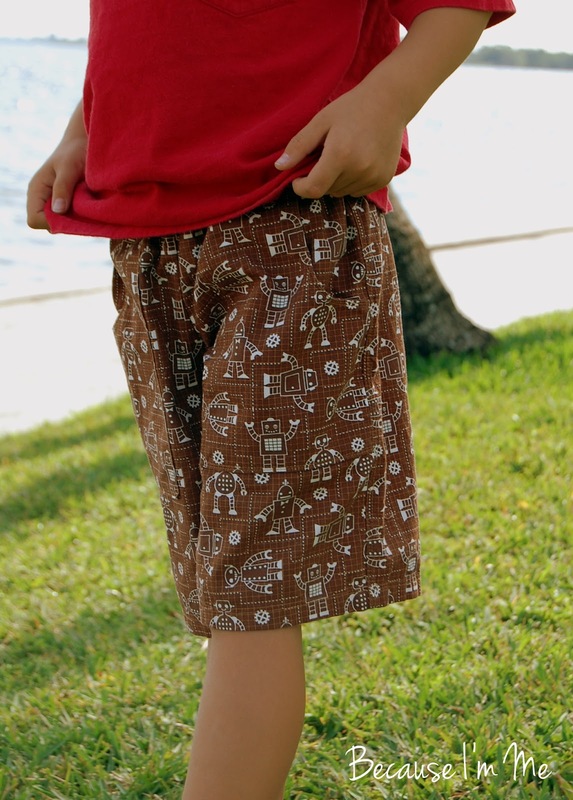 The many pairs of shorts I made last summer have now shrunk, somehow, and land well above River's knees. They shrunk around the waist too. For this pair of shorts I used the same pattern as before, but had to add to the length and width (the pattern shrunk too, how does that happen? ), and extended and widened the pocket, making it even better to fill with stuff. 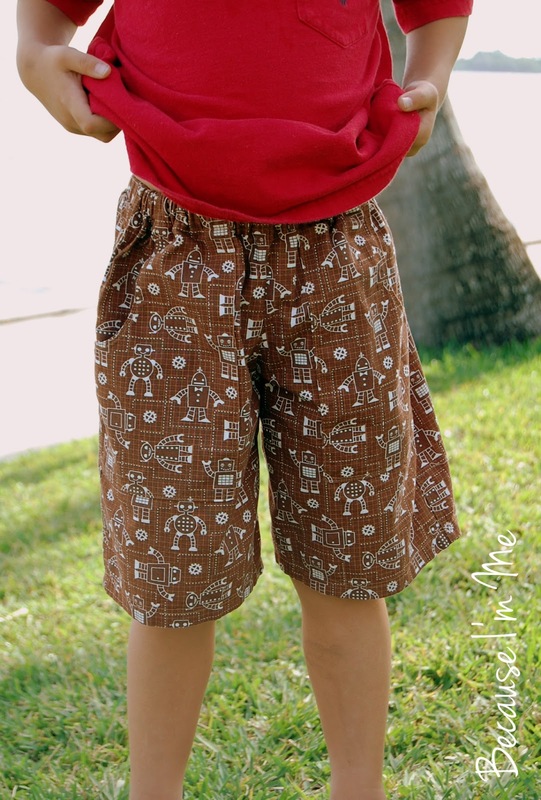 They're robot shorts! River is super happy about that, even though he really has no shirt to wear with the shorts (why yes, a robot shirt probably will show up here very soon). 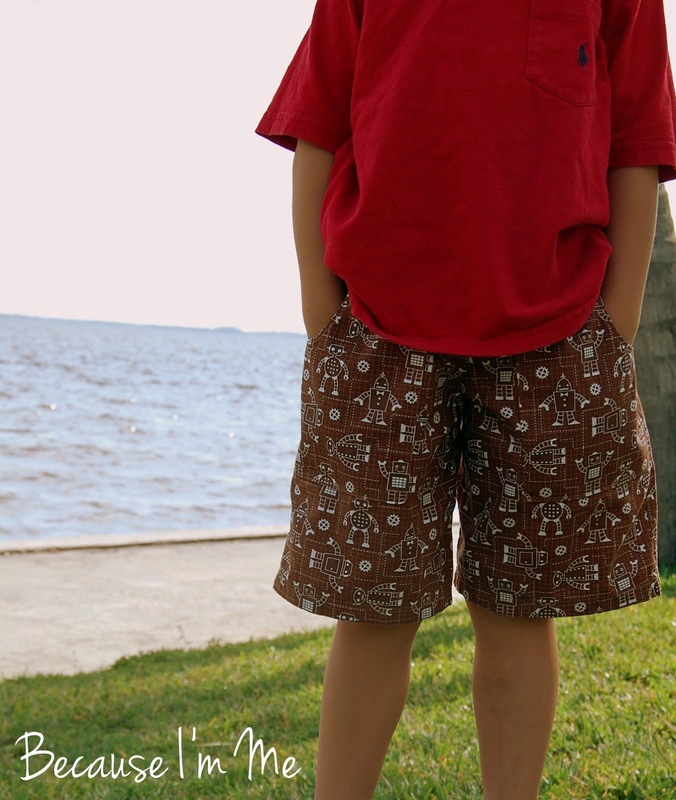 The fabric is a Robert Kaufman print, and was purchased at StitchStashDiva. I can't say enough how much I love this simple pattern. Those are so cute! My son wears his clothes out before outgrowing them, too. I've never had that problem with my girls. I couldn't get the pattern when I tried recently either. :( My suggestion is to create your own pattern by tracing a pair of shorts or to google for a different pattern. Bummer!! !